Mary is a veteran of the American early music movement. In 1968, she became the youngest member of the New York Pro Musica, and has been active in the performance of Medieval, Renaissance and Baroque music ever since. After a decade of free lancing in New York, she became Musician-in-Residence at Chicago’s Newberry Library, and was the founder and director of the Newberry Consort until 2008. While based in Chicago, she worked with Music of the Baroque, The Chicago Opera Theater and The Second City Music. In 2009 Mary moved to New Mexico, and currently is Co-Director of Severall Friends, a collection of musicians devoted to the performance of early repertoires in Santa Fe. She is a busy freelancer, appearing regularly with The Texas Early Music Project, Sonoma Bach, LOBO of Sonoma, Ars Lyrica of Houston, Parthenia, and the Folger Consort. This past year, Mary was a soloist on the Main Stage of the Berkeley Early Music Festival, as well as performing in the Corona del Mar and Amherst Early Music Festivals. 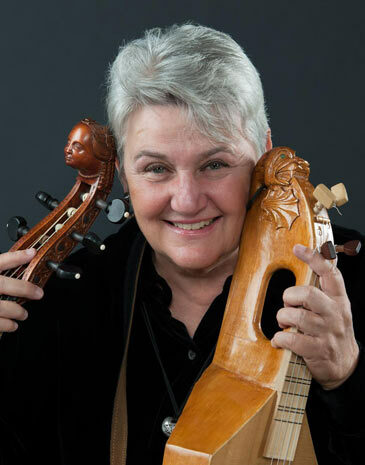 She has taught at the University of Chicago and Northwestern University, and is a regular faculty member at the Summer Toot, SFEMS Early Music Weeks, The Viola da Gamba Society of America Conclaves and Viols West. Mary can be heard on recordings with Drew Minter, Marion Verbruggen, Christine Brandes, Janet See, Elizabeth Blumenstock, and the Newberry Consort. In 2007, she was given the Howard Mayer Brown Lifetime Achievement Award by Early Music America. This will be Mary’s sixth time teaching at the PTEMW. We are so fortunate to have her back sharing her fountain of knowledge and energy. "Mary is without doubt one of the best teachers on an individual level, and a fine coach, always keeping the atmosphere upbeat, yet helping the ensemble to improve their technique and sound..."
“Mary is just simply one of the best teachers out there: wonderfully knowledgeable, terrific at keeping the pace of sessions and truly brilliant at coming up with technical exercises for learners”. Hear Mary Springfels and David Morris, treble viols, perform John Jenkins (1592-1678) Suite No.2 á3 with Colleen McGary-Smith, bass viol and David Schrader, organ. The Thrill of the Chace. Canonic music from fourteenth and fifteenth Century France. Pass the Relishes. The application of Charles Coleman’s Graces and Relishes to English Ayres and Dance music. Tasty!